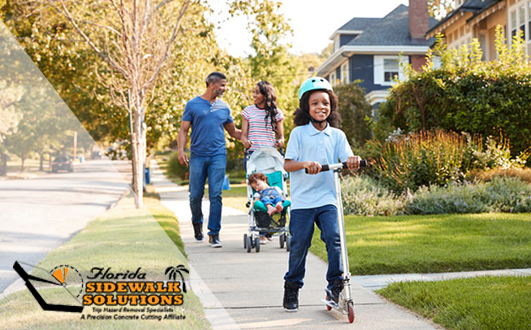 Investing to remove shopping center trip hazards is extremely important not only for the property’s walkways but for the safety of every visitor and employee. 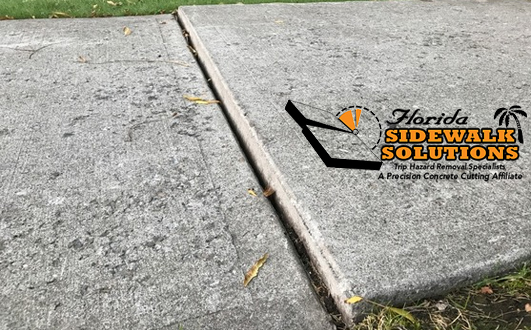 Unfortunately, many property owners and property management companies will often neglect sidewalk trip hazard repair in an effort to save money. Instead, this can end up costing them far more and worse, possibly seriously injuring an innocent person. 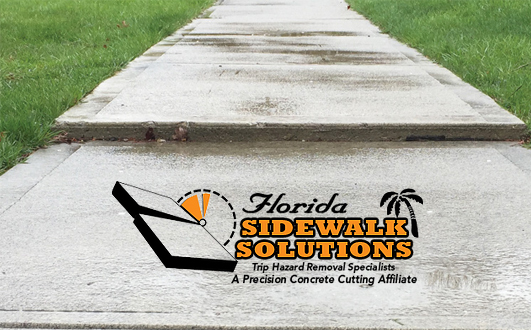 Continue reading to learn how trip hazards in shopping centers can cause serious problems for a property if they are neglected and how Florida Sidewalk Solutions can help. 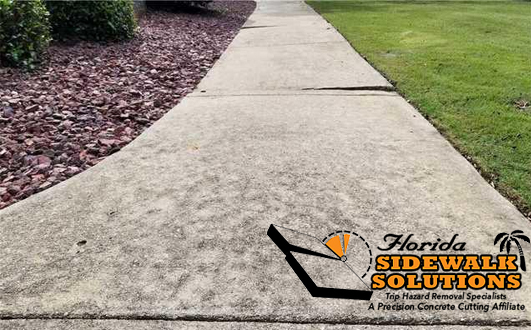 With the passage of the Americans with Disabilities Act (ADA) in 1990, a trip hazard was defined as any vertical change above ¼ or more at any cracks or joints. Furthermore, the law states that the property owner or manager (in this case a shopping center), is responsible for maintaining their sidewalk and adhering to the ADA. 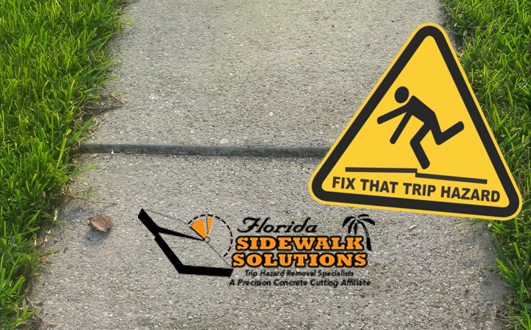 Although most trip accidents occur at a vertical change of ¼, many property owners and property management companies will only invest to remove shopping center trip hazards greater than 1”. As stated above, there are a variety of decision-making reasons why this negligence may be allowed to happen, however, most have to do with financial factors. 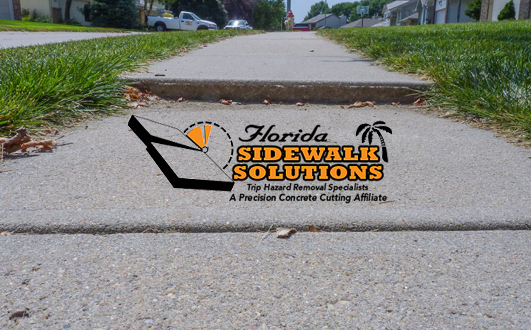 Cutting corners in regard to sidewalk trip hazards can cause an avalanche of future legal problems not only for the shopping enter but for people with disabilities, the elderly, and anyone else who may be seriously injured. A shopping center will have hundreds to thousands of visitors walking on the property’s sidewalk every day. 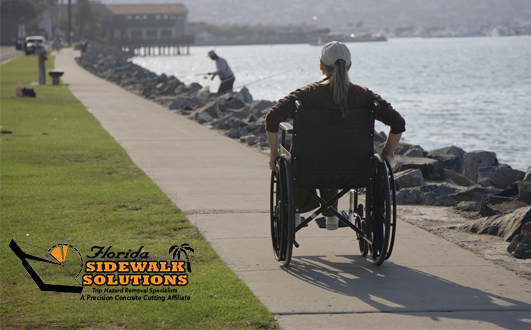 Many of these visitors and even employees may have mobility issues, old injuries, and other physical issues that can make walking a challenge. 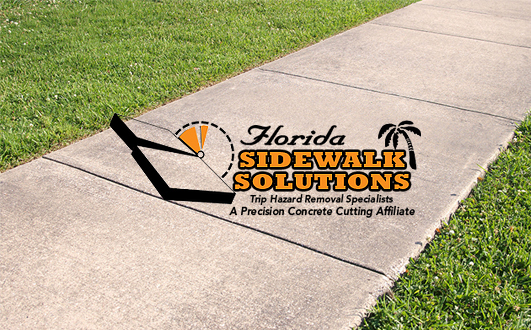 Choosing to remove shopping center trip hazards will keep all visitors safe and comfortable while visiting the shopping center. An uneven sidewalk or runway is more than an eyesore for these visitors. It can be dangerous. 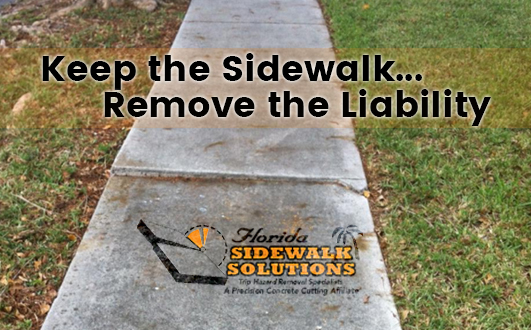 In the event that a visitor trips and falls, the shopping center can be liable for a mountain of costs that far exceed the cost of sidewalk trip hazard repair. This includes lawsuits, settlements, medical costs, and even leaving the shopping center vulnerable to false injury claims. The safety and comfort of all visitors, regardless of their physical condition, is therefore paramount. 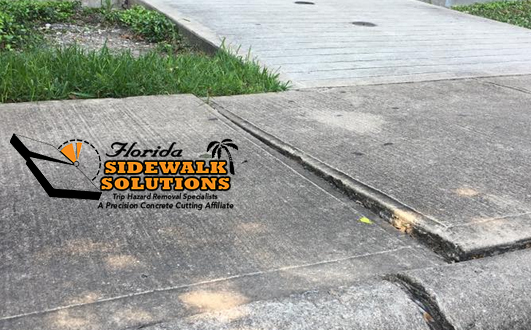 Florida Sidewalk Solutions is more than a sidewalk trip hazard repair company. 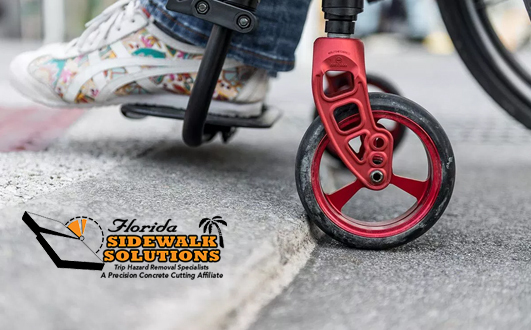 As a company co-founded by an individual with disabilities and an elderly parent, we understand the frustration and danger that failing to remove shopping center trip hazards can cause. 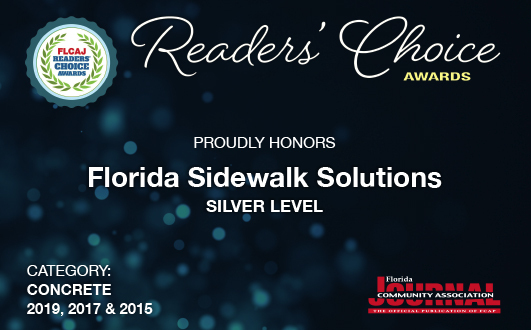 We are proud of the work we have done using state-of-the-art repair equipment and our own patented process. No matter what our clients’ budgets may be, we are able to stretch them while producing a safe and aesthetically pleasing result. 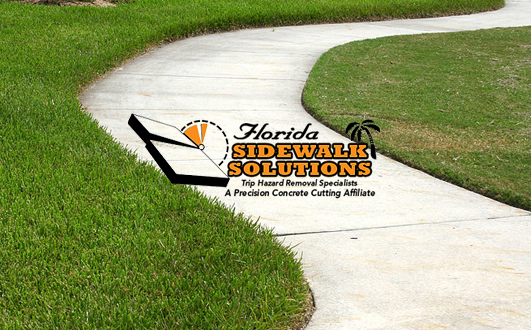 Contact our sidewalk repair contractors today for a free estimate.